Bristol Zoo Gardens’ newest arrival, Kala the gorilla, is celebrated her eighth birthday on December 11. Kala, who arrived from Germany’s Hannover Zoo in October, is enjoying the day with her new family of western lowland gorillas. Keepers at the Zoo have spent the past weeks helping Kala get used to her new surroundings. She was first introduced to Jock, the 28-stone silverback then she met the other six gorillas including the youngest, Afia, who is almost 3, and 20-month-old Ayana. This has meant the Gorilla House being closed at certain times so the gorillas could get to know each other away from the public. 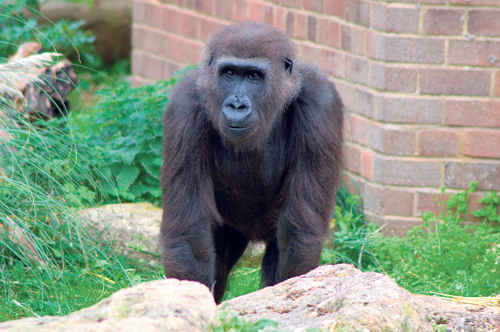 Sponsored by Bristol-based Nessy Learning Ltd, Bristol Zoo’s family of western lowland gorillas live on Gorilla Island and in their award-winning Gorilla House.